A new report shows a rise in ex-detainees returning to terrorist activities, a Pentagon official says. Washington (CNN) -- More detainees released from the U.S. prison in Guantanamo Bay are returning to terrorist activity, a new classified Pentagon report is expected to say. The report by the Pentagon's Defense Intelligence Agency has not been released publicly, but a senior Pentagon official said it will show more former detainees returning to terrorist activity after being released to their home countries. Geoff Morrell, press secretary for Secretary of Defense Robert Gates, told reporters at a Pentagon briefing Wednesday that the number has gone up since last year and added, "I don't think that trend has reversed itself." But Morrell would not go into detail about how much of an increase has been seen, because the report is classified. Last April, the last Defense Intelligence Agency report said that 14 percent of former detainees had conducted or were suspected of terrorist activities after being returned to their home country. While actual updated statistics on recidivism have not been released, the April report says 74 individuals have turned to or are suspected of having turned to terrorism activity since their release. 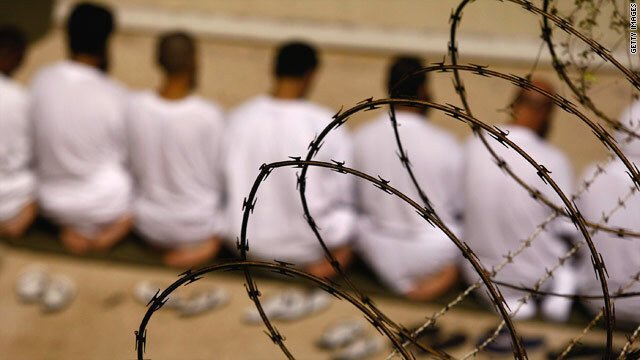 Of the more than 530 detainees released from the prison between 2002 and last spring, 27 were confirmed to have engaged in terrorist activities and 47 were suspected of participating in a terrorist act, according to Pentagon statistics cited in the spring report. Since the report's release, the total number of released detainees has risen to about 560, Pentagon officials said. Morrell did not offer a reason for the increase but said the department monitors former detainees the best it can. "There is no foolproof answer in this realm, that's what makes this so difficult," he said. Almost half of the remaining detainees at Guantanamo are from Yemen. President Obama halted the transfer of the remaining Yemenis back home after the failed Christmas Day bombing plot of a Northwest Airlines jet -- an incident that allegedly had ties to Yemen. The U.S. is investigating whether a former Guantanamo Bay detainee released in 2007 -- Abu Sufyan al-Shihri -- a Saudi now based in Yemen and a self-proclaimed leader of al Qaeda in the Arabian Peninsula, was involved in planning the Christmas Day plot. Al Qaeda in the Arabian Peninsula has claimed responsibility for the attempted bombing. Some 21 Yemenis have been released from the detention facility since 2002, 14 under the Bush administration and seven under the Obama administration.